David Julievich Dallin was born in Rogachev, Russia, in 1889. Dallin became a socialist and was a supporter of the 1905 Russian Revolution. While studying at the University of St. Petersburg he became involved in anti-tsarist political activity. Dallin was arrested in 1909 and after two years of imprisonment he moved to Germany. He studied at the University of Berlin and obtained his doctorate in Economics from the University of Heidelberg in 1913. After Tsar Nicholas II abdicated in February 1917, Dallin returned to Russia, where he joined the Mensheviks. When Lenin returned to Russia on 3rd April, 1917, he announced what became known as the April Theses. Lenin attacked those Bolsheviks who had supported the Provisional Government. Instead, he argued, revolutionaries should be telling the people of Russia that they should take over the control of the country. In his speech, Lenin urged the peasants to take the land from the rich landlords and the industrial workers to seize the factories. Some Mensheviks such as Leon Trotsky and Alexandra Kollontai, agreed with this view and now joined the Bolsheviks. Dallin and the Mensheviks were united in their opposition to the Russian Revolution. In the elections for the Constituent Assembly in November, 1917, they obtained 1,700,000 votes compared to the Bolsheviks (9,000,000) and the Socialist Revolutionaries (16,500,000). However, Dallin did win his election to serve on the Moscow City Soviet in 1918. Dallin did support the Red Army against the White Army during the Russian Civil War, however, he continued to denounce the persecution of liberal newspapers, the nobility, the Cadets and the Socialist Revolutionaries. The Mensheviks, along with other opposition parties, were banned after the Kronstadt Rising. Faced with the prospect of arrest, Dallin fled to Germany. In 1933 Adolf Hitler took power in Nazi Germany. Soon afterwards the Communist Party and the Social Democrat Party were banned. Party activists still in the country were arrested and by the end of the year over 150,000 political prisoners were in concentration camps. Dallin decided it was only a matter of time before he was arrested and therefore he moved to Poland. In August 1939, a group of concentration camp prisoners were dressed in Polish uniforms, shot and then placed just inside the German border. Hitler claimed that Poland was attempting to invade Germany. On 1st September, 1939, the German Army was ordered into Poland. Dallin managed to escape arrest and by 1940 he had arrived in the United States. Soon afterwards he married Lilia Estrin, who had been active in Paris as a member of the Left Opposition that published the Bulletin of the Opposition, the journal "which fought against Stalinist reaction for the continuity of Marxism in the Communist International". Mark Zborowski, posing as a supporter of Leon Trotsky, but actually an NKVD agent, arrived in New York City in 1941. He immediately made contact with David Dallin and his wife Lilia Estrin. They helped him find employment at a factory in Brooklyn and set him up in an apartment. A few months later he moved to a more expensive home at 201 West 108th Street, where the Dallins also lived. It was later discovered that the NKVD were paying Zborowski to spy on the Dallins. Dallin became friends with a group of anti-Stalinist socialists that included Isaac Don Levine, Max Eastman and Eugene Lyons. In 1943 he was approached by Victor Kravchenko, who was working for the Soviet Purchasing Commission in Washington, an organization that was involved in implementing the Lend Lease agreement. As John V. Fleming has pointed out: "The volumes of Lend-Lease shipments were so large that the Russians required for their administration what was essentially a corporate headquarters on Sixteenth Street in Washington. A large staff of military and industrial experts, technicians, accountants, purchasing agents, transportation consultants, engineers, translators, chauffeurs, police agents, and secretaries worked there." His job was of supervising and expediting the shipment of industrial products. Kravchenko told Dallin that he wanted to defect and so it was arranged for him to have a meeting with the FBI. Kravchenko told the FBI that the Washington office of Soviet Purchasing Commission was under the control of a covert NKVD team. The author of The Anti-Communist Manifestos: Four Books that Shaped the Cold War (2009) has pointed out: "All the executives of the commission were Communist Party members, though most, including Kravchenko, were under instructions to conceal that fact. The most important business was conducted in closed meetings attended only by Party members. In the typical pattern of domestic Soviet industries, there were secret police spies everywhere." Kravchenko also informed the FBI about illegalities and profiteering on the part of the American contractors supplying the Soviets. J. Edgar Hoover did not seem very interested in this and instead ordered that Kravchenko was investigated. On 1st April, 1944, he sought political asylum in the United States. A few days later the New York Times reported that Kravchenko was "accusing the Soviet Government of a double-faced foreign policy with respect to its professed desire for collaboration with the United States and Great Britain and denouncing the Stalin regime for failure to grant political and civil liberties to the Russian people" The newspaper went on to add: "Mr. Kravchenko declined for patriotic reasons to discuss matters bearing on the military conduct of the war by Soviet Russia or to reveal any details bearing upon economic questions, particularly as they affect the functioning of lend-lease as handled by the Soviet Purchasing Commission and in Russia." Kravchenko issued a statement of well over 1,000 words. He pointed out that his experience in the United States had "served to crystalize in my mind views and sentiments I had long felt in Russia". The Russian people he insisted yearned for the "four freedoms" promoted by President Franklin D. Roosevelt since he gained power. Kravchenko argued that during the Second World War the "Russian people have earned a new deal." Ambassador Joseph E. Davies appealed to Roosevelt directly on behalf of Joseph Stalin to have Kravchenko returned to the Soviet Union. Roosevelt rejected this idea and he was allowed to live under a pseudonym. However, it has been pointed out: "A Soviet defector at that time was not a triumph but a potential embarrassment. The vital thing for the U.S. policy was to keep the Red Army on its remorseless offensive against the Germans." Max Eastman arranged for Kravchenko to receive a $15,000 advance from Cosmopolitan magazine for a series of articles. With the help of anti-communist journalist, Eugene Lyons, who was now his literary agent, Kravchenko also began work on a book about his experiences. A publishing deal was agreed with Charles Scribner's Sons and Lyons agreed to accept 40% of the royalties. Kravchenko later wrote: "I worked on it month after month under harrowing conditions of persecution and threats against my life. I was obliged to wander from city to city, continually changing hotels and private residences, living under assumed names and assumed nationalities, finding safe hide-outs in the homes of Americans or my own country-men." Kravchenko's autobiography, I Choose Freedom, was published in 1946. In 1954, Dallin had a meeting with Alexander Orlov. He wanted advice on a book he was writing. During the conversation Orlov asked Dallin if he knew "Mark, the agent provocateur" who was a member of the Left Opposition on Paris in the 1930s? Orlov said that as an NKVD agent he had read Mark's reports on the group. Dallin said that the only man he knew of that name was Mark Zborowski. The next meeting between the two men took place on 25th December, 1954. This time Lilia Estrin attended. Orlov told Lilia that when Lev Sedov was at the Bergere Clinic "Mark" sent a report to the NKVD that he had a tremendous urge for an orange and that it was provided by Lilia. This was a true and Lilia now came to the conclusion that Mark Zborowski was indeed a Soviet agent and told Orlov that his suspicions must be correct. Two days later Orlov told the FBI that there was a known Soviet agent in the United States. The former NKVD agent, Alexander Orlov, appeared before the Senate Internal Security Subcommittee in September 1955. He disclosed that Mark Zborowski had been involved in the killing of Ignaz Reiss and Lev Sedov. Zborowski appeared before the committee in February 1956. He admitted to being a Soviet agent working against the supporters of Leon Trotsky in Europe in the 1930s but denied that he had continued these activities in the United States. Lilia Dallin appeared before the committee in March 1956. She also gave information against Zborowski. However, it was not until November 1962, that he was convicted of perjury and received a four-year prison sentence. Dallin was a member of the Socialist Party of America and worked on the left-wing, anti-Stalinist magazine, The New Leader, for nearly twenty years. Dallin was a visiting professor of political science at the University of Pennsylvania and was the author of The Real Soviet Russia (1944), Big Three: The United States, Britain, Russia (1945), Forced Labor in Soviet Russia (1947), Soviet Russia and the Far East (1948), Economics of Slave Labor (1949), Rise of Russia in Asia (1949), New Soviet Empire (1951), Soviet Espionage (1955), Changing world of Soviet Russia (1956), Soviet Foreign Policy after Stalin (1961) and From Purge to Coexistence (1964). 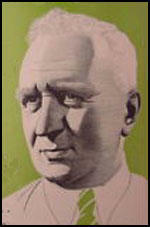 David Dallin died in New York City in 1962. Dallin was one of the triumvirate of the leadership of the old Menshevik Party, which had first been exiled to Paris and then, in 1940, moved to the United States. Along with Boris Nikolaevsky (1887-1966), sometimes called "the father of Kremlinology," Dallin made knowledgeable and authoritative contributions to the more scholarly kind of Cold War literature. 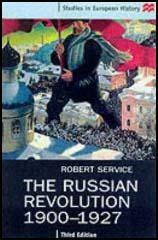 His most famous, or at least his most controversial, book was Forced Labor in Soviet Russia (1947). Dallin, who lived in New York, came into discreet contact with Kravchenko. Kravchenko had had sufficient experience with the NKVD to be wary, but even so he was taking a great risk. One of Dallin's "friends" at the time was Mark Zborowski, the anthropologist-spy, not yet exposed as a Stalinist agent, who had actually taken up residence in the same apartment building with Dallin. When he wasn't writing about Polish shtetls from the anthropological perspective, Zborowski was an expert Trotskyite-watcher for the NKVD. Eventually Trotskyites grew so thin on the ground in Paris that he became for a time head of the operation he was supposed to be infiltrating. According to John Earl Haynes and Harvey Klehr, Kravchenko and Zborowski actually crossed paths at the apartment building in March 1944 - but without Zborowski's knowing who he was. * Thus the security apparatus that did not diagnose Kravchenko's infidelity during the process of his vetting in Moscow nearly discovered him by accident through Stalin's continuing obsession with Trotskyism. Indeed, Kravchenko was very lucky, but also smart and prudent. 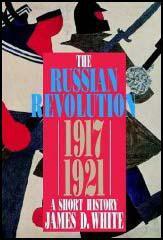 We must remember that these "Mensheviks" were, and considered themselves to be, genuine revolutionaries. Most of them no longer shared the fantasy of the old Trotsky clique that they might one day mount to power, but there was about them a memorial aroma of conspiracy. Dallin and his wife were perhaps what Lenin and Krupskaya might have been had they remained in Zurich in 1940. Most of us have friends, acquaintances, colleagues, and "contacts." They were among the groups to whom the historians assign a "circle." The Ukrainian engineer was mightily impressed with the older man. Here was an old revolutionary, like his own father a pre-Stalinian socialist. Here was a man with a vast knowledge of Russian history, passionately pursued. Here was a Russian patriot who made the clearest distinction between the "Russian people," whom he loved, and the "Stalin clique," whom he hated. Above all, here was a man who demonstrated both in word and deed that it was possible to flee Babylon and fight against it. What Kravchenko did not at first know was that Dallin was not so pure in his prelapsarian radicalism as to eschew intimate relations with the FBI and with such specimens of American left-wing demonology as Max Eastman, Isaac Don Levine, and Eugene Lyons. Defection was no simple or easy act. To sever forever the political commitments and habits of a lifetime, to abandon vulnerable family members, a spouse, children, parents, to leap into the darkness of a profound cultural alterity, these are not things easily undertaken. Later on in the postwar period, in what might be called the Golden Age of Defection, we find famous defectors of a certain cultural sophistication and experience, people who had done some traveling and had at least the rudiments of a cosmopolitan outlook-dancers, athletes, chess players, and diplomats. Kravchenko was a purely parochial, dyed-in-the-wool cradle Communist. He had been nowhere, had no foreign contacts, spoke and read no languages other than Ukrainian and Russian.